Dr. Pankaj Narang Murder Mystery: Are We Failing To Evolve As A "Tolerant Society" ? 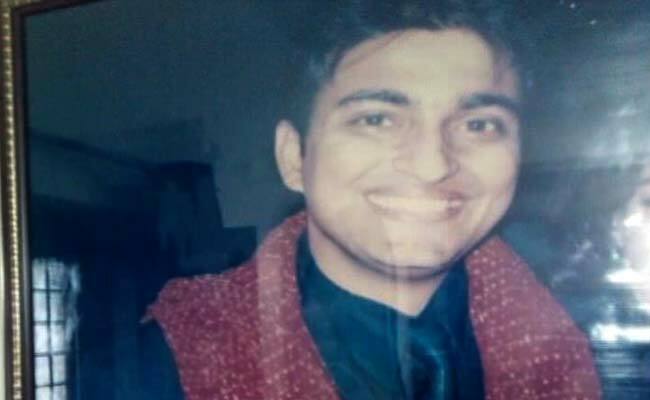 Dr. Pankaj Narang Murder Mystery: Are We Failing To Evolve As A “Tolerant Society” ? Might be Dr. Pankaj Narang, a Dentist in West Delhi was not aware that this Holi is probably going to be the last he’s seen and the only colour on him that night would be that of blood. What’s happening to our Indian Society? After Dadri Lyching, Rohit Vemula Controversy, JNU Row and now a dentist being killed by a mob are in series of incidents happening these days in our country. India, we all know is the land of Buddha, Mahatma, Mahavir, Kabir and Nanak etc who all teaches us the leson of no-violence and brotherhood but what is happening these days in the country is a proof that we are failing to evolve as a ‘tolerant society’. On Wednesday midnight, Pankaj Narang who is a dentist by profession, was playing cricket at his home with his son and nephew to celebrate India’s one-run victory over Bangladesh in the World Twenty20 tournament. Accidental, the ball bounced out on the road and the dentist’s eight-year-old son ran out to brought the ball back. Just then, according to the police, Naseer and one of the minors who are arrested were speeding fast on a motorbike, which foraged the child. Dr Narang incline them down and a heated argument followed. Naseer then drove off and they warn them to return in 10 minutes. They return later with 10 people and they attacked Dr Narang. Witnesses said people who had gathered attempted to interfere, but they were thrashed too. Dr. Pankaj Narang was taken to the hospital but he died on the way. Minutes before a group of men including some minors attacked Dr. Pankaj with sticks, cricket bats, iron rods and beaten to death on Wednesday night. Dr. Narang was trying to call the police control room (PCR), but the phone line was engaged. He wanted to tell the police about the incident that he had an argument with two men on a motorcycle, and one of them had intimidate him of dire consequences. Narang who was resident of Vikaspuri, West Delhi. Then decided to go to the Janakpuri District Centre, where PCR vans are usually vested. But at that day,there were no PCR vans there. As soon as possible for him, he was coming back to his home. By that time a group of men had started pelting his house with stones. They attacked him outside his house and dragged him for nearly 20 meters and family members were scared. They may be targeted again. What actions Have Been Taken??? The police have arrested some of the suspects and reports say that the accused are “showing remorse”. 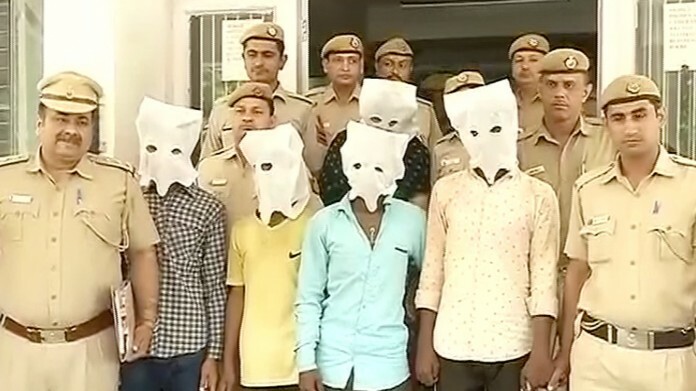 Accused ‘express regret’ over the incident Before they were sent to Tihar Jail, the five culprits, including Maesar and her two sons Naseer and Amir, met their family members in Vikaspuri police station. They expressed regret about the incident, as police officials ensured for their security urged them not to cry. Nine people have been detained over the same incident and 4 of them are juveniles. A Delhi court on Friday sent the four juveniles to a correctional home, while the five other accused — Naseer, Maesar, Amir, Ameer and Gopal — were sent to Tihar jail. According to the sources, most of the accused are from the slums of neighbourhood. Till the time police were finally called, at 12.45 am. It was become too late to save Dr. Pankanj Narang. He had been brutally attacked by a group of men in front of his family members and he succumbed to his injuries. According to the sources, most of them were belong to one particular community including some minors. Narang’s Cousin Dr Sanjeev Popli, a surgeon with a private hospital told to one of the media channel that he got to know about the incident from the dentist’s wife. “We immediately rushed to the spot. He had multiple fractures in his skull, his eyes were swollen, he was bleeding from his nose. Before he could be shifted to the operation theatre, he suffered a cardiac attack,” he said. Later on, according to Dr. Sanjeev Popli, he came to know that Narang had a heated argument with two men on a motorcycle and one of them had threatened him of dire consequences so Narang was making calls to PCR but the line was busy. What Reactions are Going On??? Social Media especially Facebook and Twitter are flooding with tweets and posts expressing anger against this mob and comparing it to the Dadri Lynching episode. But our only concern is the new misshapen and ugly face of our society. People are becoming so sensitive, allowing something to offend them so much, extreme levels of communal disturbance and disharmony, one argument, one piece of meat, one slogan is all it takes for people to lose their calm? Imagine a small and happy middle class family comprising of loving parents and mercy kids. A family that believes in celebrating small happiness of life. A family who was so happy with India’s one run victory over Bangladesh that they were celebrating it with paling cricket in the small balcony of their home in Delhi society. Imagine about that middle class small and happy family, what was their fault? Is it was playing cricket? Is it was celebrating India’s victory? Is it was playing in balcony of the society? Is it was the fault of ball that it happens to bounced on the road? Is it the fault Dr. Pankaj’s son to play cricket with his father and to become a orphan child??? Now lets’ take you back to Past. Does anyone remember the Dadri Lynching? Do you remember how many media bytes and debates did this single episode consume? Do you remember how every politician of India flocked to Dadri to express their condolences for Akhlaq? Do you remember how the Dadri Case started the debate of intolerance in India? One can easy recall the whole incident after this case of Dr. Pankaj Narang Lynching because in these two incidents there is only the difference of the reasons of the cause and place and the people who were involved but the moral apply to kill a person by mob is same. Now, Answer A Question or Justify Yourself that Is we are failing to become a “Tolerant Society”??? What is happening to us? A single argument, a single piece of meat, a single slogan etc. is all take for people to lose their temper. India has always been the land of moral values and culture. It is our tradition and a history that people from all the walks of society live together for centuries irrespective of the cast, creed and religion etc. It seems that those days were gone when we were all living together with peace and communal harmony. But now, it looks that we are moving towards a uni-cultural society than a diversified one. It looks that we are failing to become a tolerant society. India is the land of Mahatma and Buddha who teaches us the lesson of non-violence and brotherhood. Just think for a while, is it called a tolerance to kill a Dr. just over a single argument. We are not judging anyone, you better judge yourself and realize yourself is we are tolerant or we are failing to grow as a “tolerant society”.